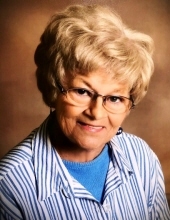 Beverly Florene Christian, age 81, of Clever, Missouri, passed away at 7:55 a.m. on Monday, November 26, 2018, at the Republic Nursing and Rehab in Republic, Missouri. She was born April 16, 1937, in Mt. Vernon, Missouri, the daughter of Alvin and Florene (Henry) Barnes. Beverly was a 1955 graduate of Mt. High School and was a homemaker and of the Baptist faith. She was a loving, caring, kind hearted person and put everyone else first before herself. She married Richard Milton Christian in Mt. Vernon. He preceded her in death on November 24, 2003. Beverly is survived by her daughter, Loretta Stone, of Neosho, Missouri; one son, LeRay Christian and his wife, Debby, of Terrell, Texas; three grandchildren, Mysti Taylor and her husband, Robert, of Diamond, Missouri, Corey Christian and his wife, Jess of Grand Prairie, Texas and Casey Christian of Waco, Texas; five great-grandchildren and one brother, Carrol Barnes and his wife, Patty, of Sacramento, California. Her parents, Alvin and Florene, husband, Richard, daughter, LyDonna Christian and brother, Kenneth Barnes, preceded her in death. A memorial service, under the direction of the Fossett-Mosher Funeral Home, in Mt. Vernon will be held at 11:00 a.m. on Thursday, November 29, 2018, at the First Baptist Church in Mt. Vernon. Memorial donations in the memory of Beverly, may be made payable to the donor’s choice in care of the funeral home. To plant a tree in memory of Beverly Florene Christian, please visit our Tribute Store. First Baptist Church, Mt. Vernon, MO. "Email Address" would like to share the life celebration of Beverly Florene Christian. Click on the "link" to go to share a favorite memory or leave a condolence message for the family.